Take the mining train and follow Professor Hacker as you putt your way through fun and exciting expeditions to find gold and diamonds! A miniature golf adventure that you don’t want to miss! Join our Expedition Guides in an atmosphere of family fun and enjoyment as you follow in the footsteps of Professor Ephraim “Duffer” A. Hacker in his search for gold and diamonds. You will travel through caves and volcanoes, over waterfalls, and around cliffs. A mining drain, discovered on one of Professor Hacker’s expeditions, will take you on an exciting ride to the top of the mountain where you will choose which of Professor Hacker’s expeditions you’d like to follow on your search for “Lost Treasure”. 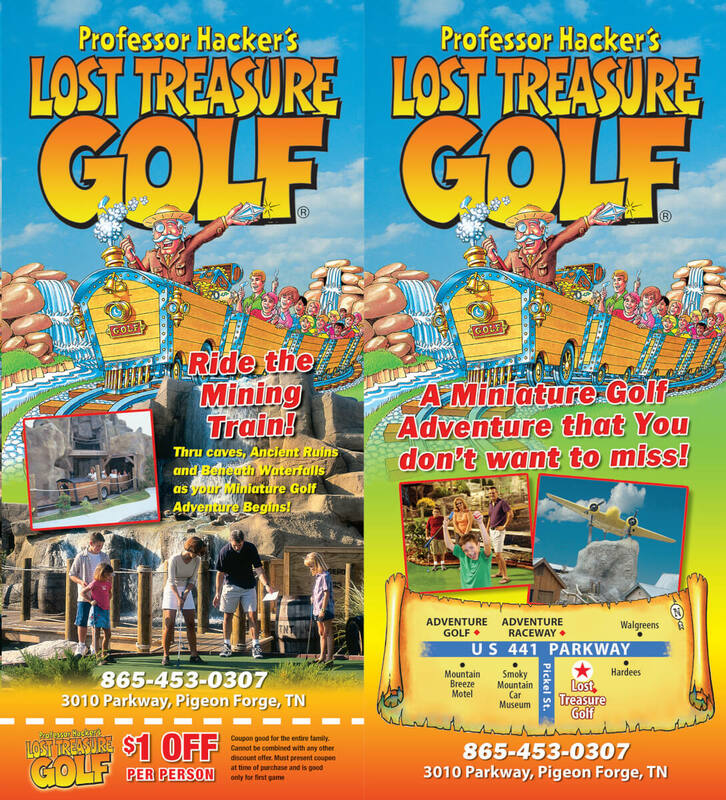 A fun and exciting miniature golf adventure with many surprises await you at Professor Hacker’s Lost Treasure Golf! Coupon good for the entire family. Cannot be combined with any other discount offer. Must present coupon at time of purchase and is good only for the first game.